Discussion in 'Motorola Droid' started by dachere, Dec 10, 2009. Hello, Anyone know of a 3.5mm wired headset for the Droid with a built-in on/off switch? Stereo preferred, but at this point, I will take anything. Not real happy about the milestone getting a headset with theirs. i think verizon has a bose unit that looks pretty good. Saw a post for the Moto Rokr EH20 here. Picked up a set at Frys this morning, only $20. Very, very good quality. 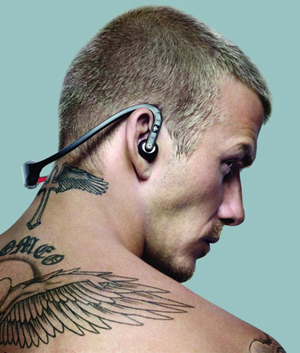 Built in mic, button for pause/play music, 3 sizes of rubber ear seals. Packaged very nicely, couldnt believe they were $20. The instructions say the 1 press of the button will play/pause music and 2 presses will skip to next track. I could only get it to skip to next track once. Granted that isnt that big of a deal to me but just giving my experience. search for Motorola S9, really awesome, No wires, back of the head design, call/answer button, volume increase/decrease button, play/pause, next, prev buttons for music, and its sleek. Not real happy about the milestone getting a headset with theirs. The Blackberry wired headsets work with the Droid. They are stereo headset that sound pretty good and have the built in mic and on/off button.